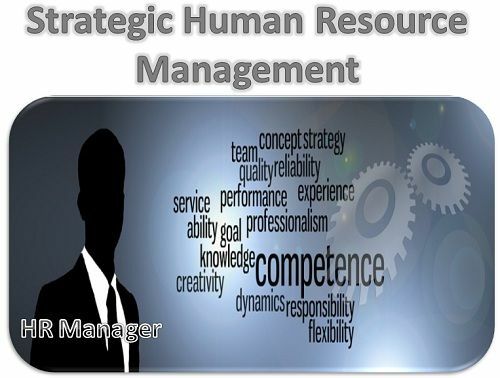 Definition: The concept of Strategic Human Resource Management or SHRM can be well understood in the contrast with the conventional HRM, that shows, in the conventional HRM the responsibility to manage the people-oriented activities rest on the staff specialist in the organization. Whereas in the case of strategic human resource management, any person who is responsible to manage people of the organization, irrespective of his functional area, is the HRM manager. Thus, in SHRM, there is an HR manager who plans the strategies to direct the efforts of the people towards the accomplishment of the organizational objectives. The strategic human resource management asserts that human capital is a major component of the competitive advantage, and they are responsible to give shape to the strategic plans. Also, they should be well informed about the plans and strategies intended to take the organization towards its goals. The SHRM looks after an effective human resource planning wherein the human capital is properly managed along with the development of efficient process capabilities. The HRM manager makes sure that the HR strategies are well integrated with the business strategies as a whole. The aim of SHRM is to have a balance between the interest of stakeholders, the employees in general, owners and management of the organization. Thus, an HRM manager should plan the HR strategies keeping people in mind and considering the aspirations or desires of all the members, who are directly or indirectly related to the organization. Also in the conventional HRM, the focus is on motivating the employees to perform their tasks efficiently, provided the firm complies with the employment laws, whereas the strategic human resource management goes beyond it and look at the relationship between the internal and external constituent groups.